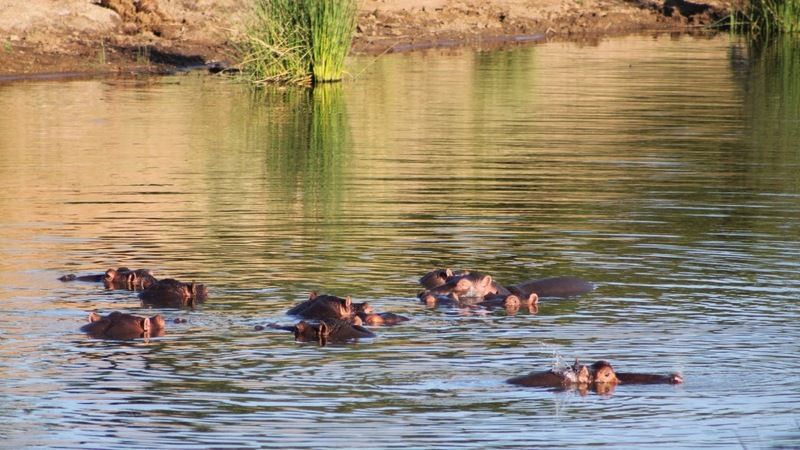 In general, when you visit the Kruger National Park, where there is water there will be hippos. In the rivers, in the lakes and in at the waterholes. In the winter, when the water is colder and the sun less harsh they will come out of the water to “sunbathe”. 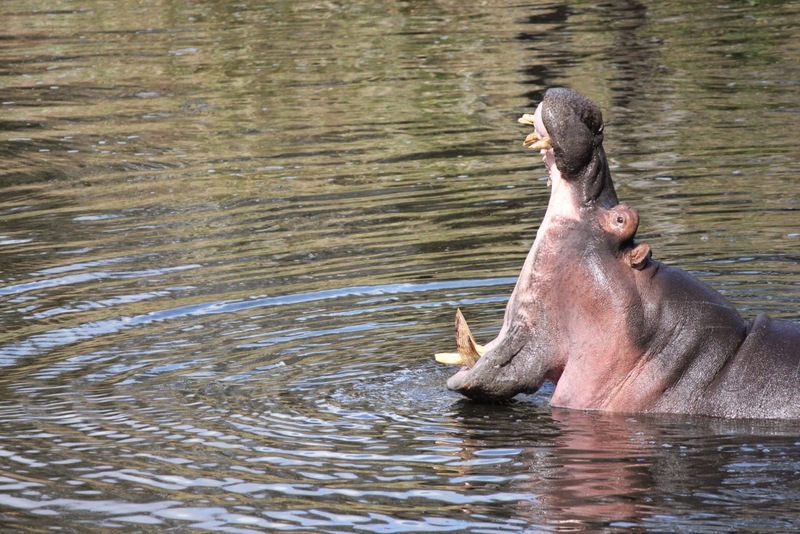 Hippos secrete mucous from their pores that acts as sunscreen and keeps their skin moist. As this mucous is red it looks like they’re sunburnt when in fact it’s the opposite. 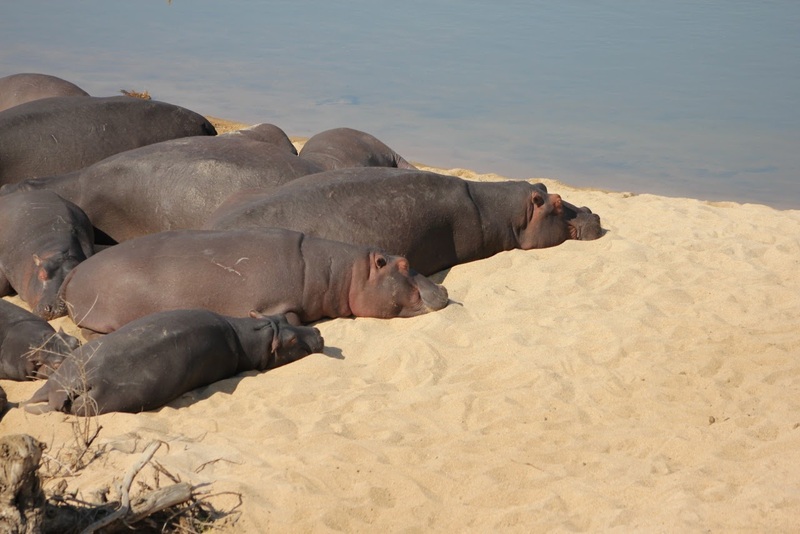 At night hippos come out of the water to graze, and they can travel quite a distance looking for food. Also it is surprising the places they can get to, they mark their territory with poop on the way and we have seen hippo poop way up on the hillside and a few miles from any water. Sometimes you will see them grazing on the riverbank late in the afternoon but this time we were lucky enough to find these two on their way back to the river early in the morning. 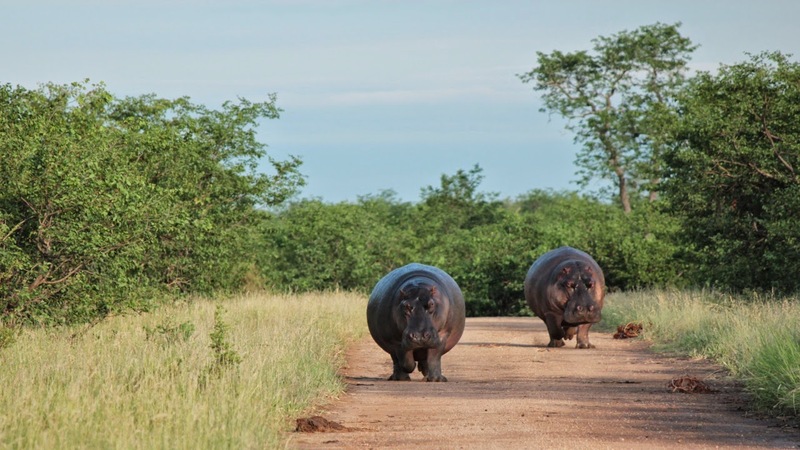 Now just imagine those 5000 pounds of hippo heading towards you at 15 miles per hour and you know why these are the most dangerous mammals in Africa..